Nat Cole (1919-1965) was one of the most admired young jazz pianists of the late 1930s and early ‘40s. In nightclubs, he occasionally included vocals in numbers with his trio, and patrons began requesting more of them. 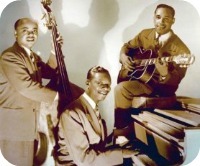 The King Cole Trio’s 1943 recording of his composition “Straight Up and Fly Right” became a significant hit because of his vocal. It wasn’t long before Cole’s singing dominated his career. His 1946 records of “The Christmas Song” and “(Get Your Kicks on) Route 66” made him one of the biggest popular music stars of his era. Nearly 50 years after his death, his albums are lively sellers. Cole was a powerful stylistic influence on major pianists including Bud Powell, Bill Evans and Tommy Flanagan, but he was so famous as a singer that listeners today are often surprised to learn that he played the piano. A new Cole album presents many of his biggest hits using a revolutionary 21st century sound process. The collection’s quality captures the admiration of Rifftides contributor Jeff Sultanof. 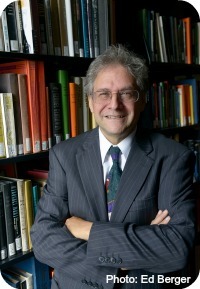 Mr. Sultanof is admired by professional musicians for his analysis and editing of scores and for his writing and teaching about composers and composing, fields in which he is also a respected practitioner. He has written previously for Rifftides about Benny Carter, Pete Rugolo, Gerry Mulligan, Russell Garcia and Robert Farnon. He lives and teaches in New York City. It seems that even the most minor event gets publicized today. Yet, something has happened that too few people seem to know about. It started with a CD called The Extraordinary Nat King Cole, a compilation of well-known and newly released Cole recordings, issued in June of 2014. A 2-CD deluxe version came out at the same time. The collection was prepared in cooperation with the Cole estate. In some cases, the estate owns the tracks; Capitol had to get a special license to use them. The same album was released in November of 2014, in the High Fidelity-Pure Audio format playable on Blu-ray players. It is not as easy to find on Amazon’s website, but if you poke around, it is there. CD Universe also carries it. 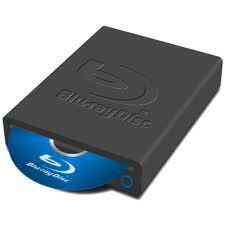 Blu-ray is an audio/video format that delivers high definition picture and sound. What may seem hype is actually correct in this case— Blu-ray is amazing! With an HD television set, the picture and sound quality of this medium must be experienced to be believed. High Definition in the home has actually encouraged expensive restoration and availability of movies both classic and minor. It is possible to see films like Lawrence of Arabia from 70MM sources, even to see vintage Cinerama and 3D films in amazing quality. But how does this new technology interact with older recordings? For those too young to remember, Sony unveiled the first CD player in 1982. It cost about $1000. It was originally marketed to listeners of classical music and jazz. By 1984, excellent players could be bought for about $225.00. They were still high in price, but much better than that first Sony player. The sound was a revelation, and the discs had no ticks and pops. The medium caught on quickly in the pop, rock and country genres. The LP seemed doomed. And yet there were naysayers: they claimed that the sound was too clinical, not ‘warm’ like vinyl LPs. Part of the problem was the sampling rate of CDs. Without getting too technical about it, the bit rate, or amount of information, was just good enough so that the players and discs could be marketed, and both Sony and Philips could recoup their research and development costs. In our modern world of downloading, most people can’t tell the difference between MP3 downloads and CD tracks, and many don’t care. CD sales are way down. Ironically, vinyl has made something of a comeback, but that’s another story. With its higher bit rate, Blu-ray has the capacity to deliver high quality audio. True, you really don’t hear the difference unless you have a good quality home system, but since home theatre sales are continuing to climb, it’s safe to say that quite a few people do care about quality, and you can get a Blu-ray player for about $50.00. They are also available on the PlayStation 3, providing further availability of the medium. In the concert music field, Naxos has issued several Blu-ray Audio discs, but in 2013, Universal released about 30 titles which ran the gamut from concert music, pop, rock and Jazz. Among the titles were A Love Supreme, Big Band Bossa Nova (Quincy Jones), and the complete Ella and Louis. 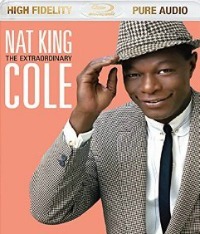 The Extraordinary Nat King Cole has upped the stakes. Featuring 36 tracks from the period 1951 through 1964, it is both a greatest hits album and a treasure trove of other tracks, including duet recordings with Dean Martin, two pieces with Cole and his daughters, a group of unissued tracks and alternate performances of hits he re-recorded in 1961 for The Nat King Cole Story. Cole holds a unique place in American music. He is considered one of the great jazz pianists in the music’s history, cited as an influence by instrumentalists worldwide. He is also one of the great singers of the twentieth century. Primarily known for his ballads, he could sing other styles with great success. 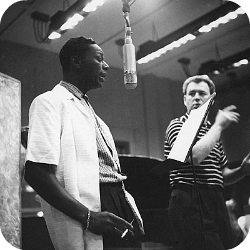 This album shows off many aspects of his craft: “Straighten Up and Fly Right” was an early hit for Cole’s trio, “Send For Me” qualifies as R&B, “Orange Colored Sky” is a collaboration with the Stan Kenton Orchestra in an arrangement by Pete Rugolo (pictured with Cole). In this album the accompanists include the swinging Billy May studio orchestra and the string-laden orchestra of Nelson Riddle. Ralph Carmichael conducts the 1961 re-do’s. However, the credits for these tracks are incorrect; Carmichael is listed as arranger on many of them, but the scores are the original ones by Nelson Riddle). If you close your eyes, you can swear that you are in the studio. Such is the warmth and clarity of the recordings, whose sources were the original tapes. Too often, reissues have to make do with copies several generations away from the originals. Indeed, the original LPs were two or three generations removed from the tape running through the machines at the time of recording. One reason was that it was necessary to prepare recordings so that they could be played back on even the cheapest record players. The bass was usually diminished or, in engineer parlance, “rolled off.” Because Blu-ray allows us to hear what is on the tapes without any alteration, we can more clearly detect subtleties in the sound, as well as differences between the recording studios Capitol used. In 1951, Capitol’s main west coast studio was in the former KHJ radio station on Melrose Avenue in Hollywood. The capability was single-channel monaural, and while the studio often had glorious sound, some of the recordings from that era sound slightly compressed. A great example is Cole’s “Almost Like Being in Love.” Previous issues of the song had frequencies so pinched that it sounded as if the master tape had been damaged. On Blu-ray, the track still sounds somewhat compressed, but since the bass is reproduced exactly as recorded, with no rolloff, the result is fuller—more satisfying. By 1956, Capitol had built its famous Tower. The ground floor had three studios for recording, with an echo chamber below the floor. When I produced two sessions there some years ago, I saw and heard first hand how great that complex is and what it is possible to do there. Studios A and B can be combined into one large room, with engineers able to use either set of recording equipment. Studio C is a smaller room that can be used for smaller ensembles, overdubbing and surround mix-downs. In 1956, the engineers were figuring out how best to record in the rooms. The recordings in those early years ran the gamut from beautifully balanced to distorted, sometimes with microphones placed so high that the sound is indistinct and nebulous (Capitol recorded a Nelson Riddle album in stereo that was never released due to poor microphone placement). Cole was fortunate; his stereo tracks from 1957-58 are beautifully recorded. They’ve never sounded so clear and natural as in this Blu-ray album. The artist may have turned in a less-than-good performance (not the case with Cole; he agreed to record some poor songs, and he gives 100% on each one). The arrangement was rejected (not the case here; most of the unissued tracks were arranged by Nelson Riddle). The executives didn’t like the song (the producer and the top execs at a label frequently disagreed). The writers of the song didn’t like the performance and refused to grant a license. Are these tracks essential? I say yes for the arrangements alone. If you ask me, any new Nelson Riddle music is most welcome. What Riddle (pictured here with Cole in the studio) does with some of these songs is a lesson in professional arranging; he often turns straw into solid gold. In a word, they are gorgeous! Of the two tracks with daughters Natalie and Carole, one was originally issued and one was held back. These recordings are charming. It’s easy to hear that Natalie already had a sure ear and had listened to her dad. Her phrasing and intonation tend to be spot-on. Carole is clearly scared. She can sometimes barely be heard. The alternates of previously issued tracks include some studio chatter. When working on a recording project, choosing which ‘take’ to issue is an art and a challenge. In some cases, alternate vocal or instrumental performances are better than the tracks that came out, but they often have musical mistakes or poor balance. The Cole estate clearly wants his fans to have more of Nat’s life work, and we are in their debt. We are also indebted to Universal for making this Blu-ray available. I really appreciate the care that went into this release. I’ve already played the album several times. I am still knocked out by the sound. So let’s think of other albums that should be available in this format. The Concert Sinatra is first on my list. What would be first on yours? Thanks to Jeff Sultanof for his illuminating Blu-ray and Nat Cole insights. It’s always pleasure to have him aboard. For a Rifftides post on the question of vinyl vs. digital and for reviews of a few recent LPs, go here. My early candidate for Blu-Ray massage: Shelly Manne and His Men At The Black Hawk (Contemporary) in 1959 with Shelly, Joe Gordon, Richie Kamuca, Victor Feldman and Monte Budwig. These five CDs include everything played by the group over three evenings at the long-gone Black Hawk in San Francisco. Solos stretch out, fueled by Shelly’s propulsion of the group and his superb fills. There’s a 20-minute “Black Hawk Blues.” Every member of the group is in top form on almost every track. The previously unreleased fifth album came out on CD years later, with liner notes by Doug Ramsey. Growing up, I had a stepfather, as my father, Slim Gaillard was on the road. He lost two children and everything in a house fire. Nat Cole read the article in the San Francisco paper and sent him $10,000.00 to start his life over. What a man! Love his silky voice. Don’t forget the site Slim Gaillard Appreciation, celebrating slim’s birthday January 4th, the new Vout-O-Roonie club that opened in London, or Slim being put in the blues and jazz hall of fame in Greece. Vout? Thank you, Jeff and Doug. To my ear Nat’s recording of “Nature Boy” is one of those songs that captures the Zeitgeist – ‘spirit of the times’ – besides being a remarkable piece of music. Nat’s phrasing of ‘the greatest thing you’ll ever learn Is just to love and be loved in return’ could only be done by a man who is described in Mark’s comment about his gift to Slim Galliard.